A veteran of the War To End All Wars sits lonely in the park , day in and day out . No one pays much attention any more . The world has moved on .Other wars have come and gone since the 1918 armistice and other generations of warriors find other corners from which to watch the world . Our grey veteran is quiet now . No more roar . Lost the fire . In Essen , Germany , in 1902 , forged in Freddy Krupp’s factory , our cannon was born into what was to be a growing German arsenal to be used in World War I .
Post-war treaties forced German disarmament . Artillery pieces were among the categories of armaments to be gotten rid of . Unwanted and illegal in the homeland , our cannon arrived on American shores with a brother . The city of Pasadena sponsored the two refugees and then decided one would be enough . The other was sent to Sierra Madre to sit in the park . It faces Sierra Madre Boulevard and aims at the mountain . It guards nothing but memories . A symbol . The second world war brought another generation’s sacrifice with another round of tragedies and triumphs. The old cannon had to do double duty to honor these WWII vets . But then along came the Cold War , Korean Conflict , Vietnam , Afghanistan , Iraq , and all the conflicts in between , the countless conflicts in the world’s corners . 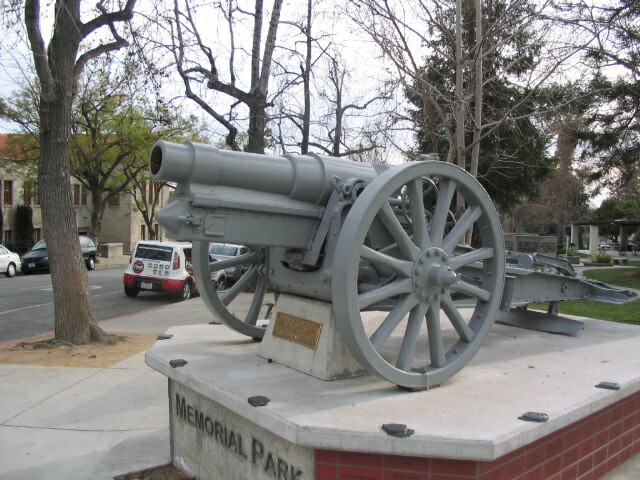 There is a newer memorial in Sierra Madre Memorial Park to honor veterans of all the wars . 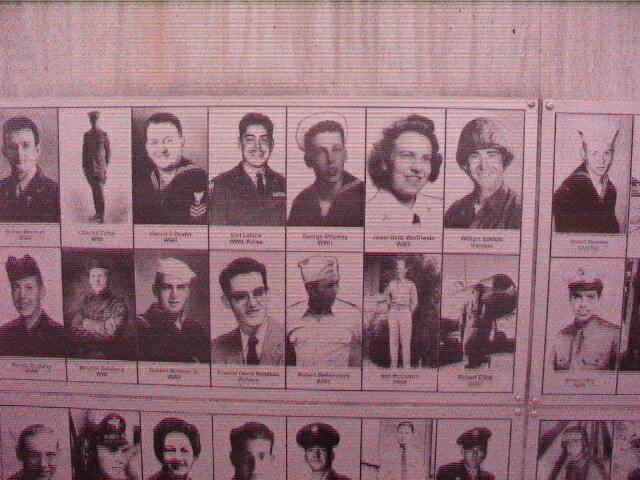 On it are photos and names and the name of whatever particular war the veteran was involved in . A local man built another memorial . No cannons . No uniforms . It is a compact wall of stone . It weeps . 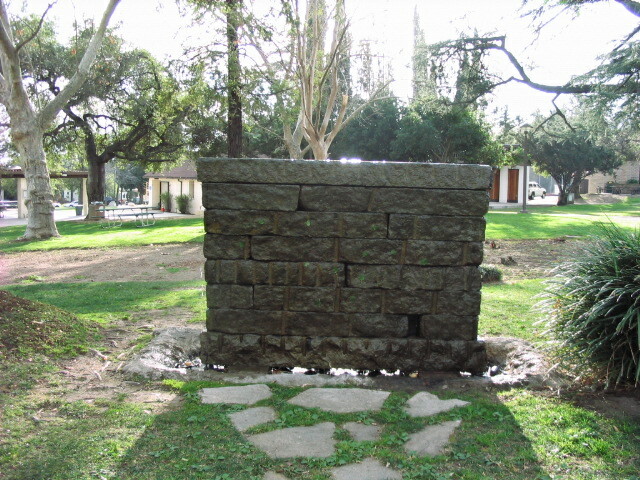 It is a weeping wall with no label or engraved explanation . It sits in the park between the other monuments and weeps .